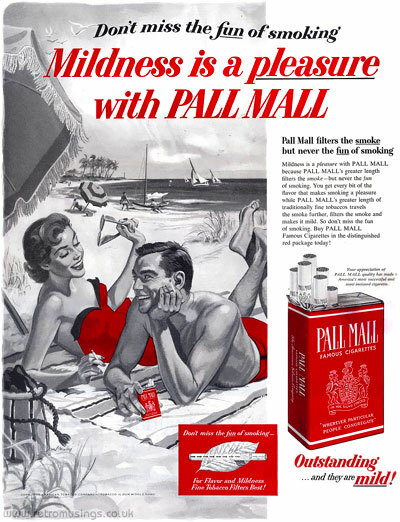 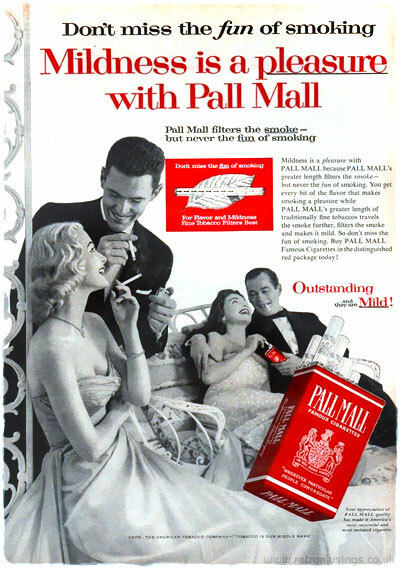 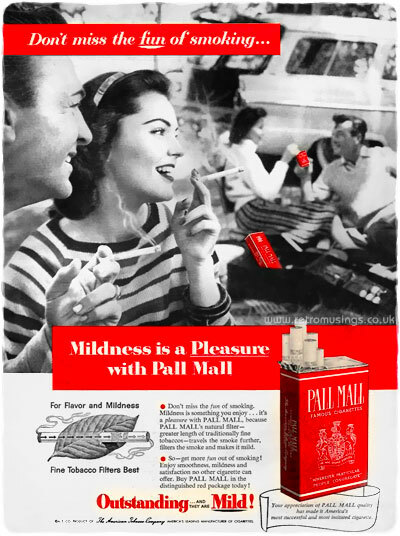 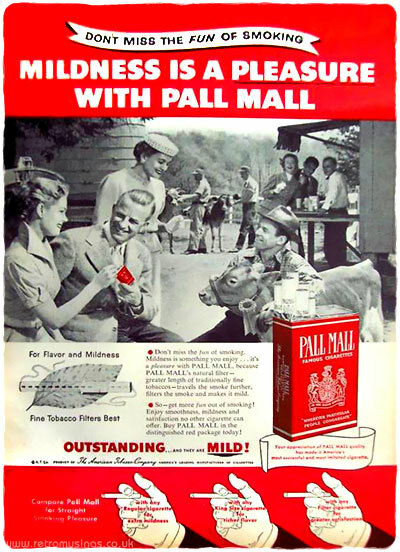 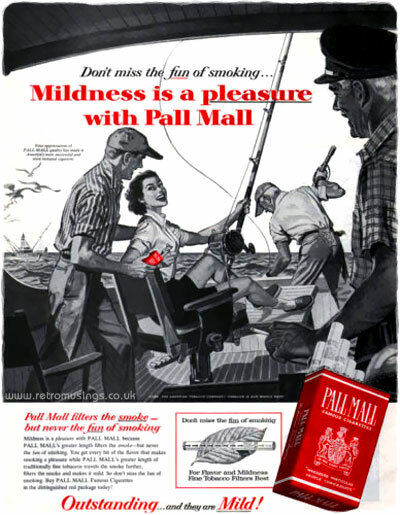 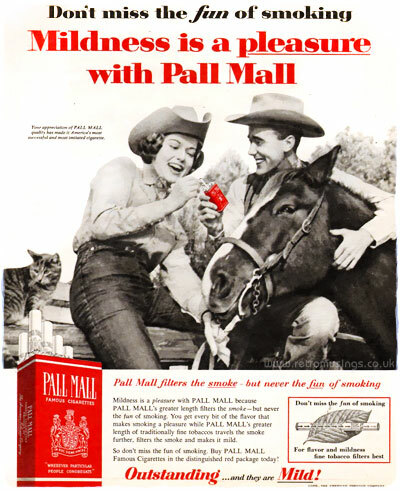 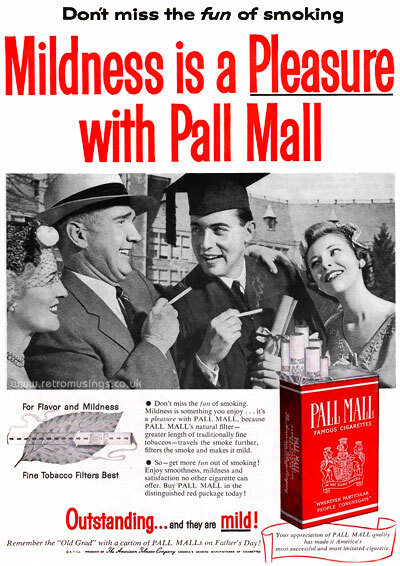 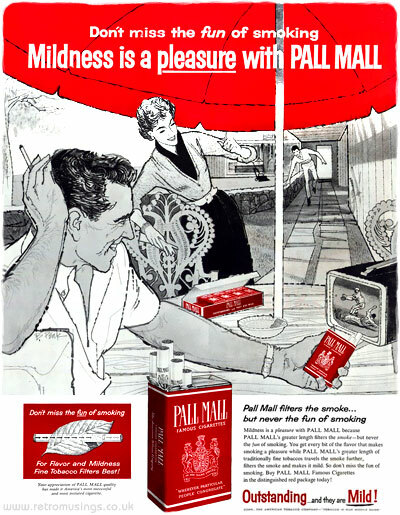 All the ads I have found from 1956 were black and white photos rather than illustrations, and from 1957 they were a mixture of photo or illustration (artwork by Mal Murley and Bob Peak). 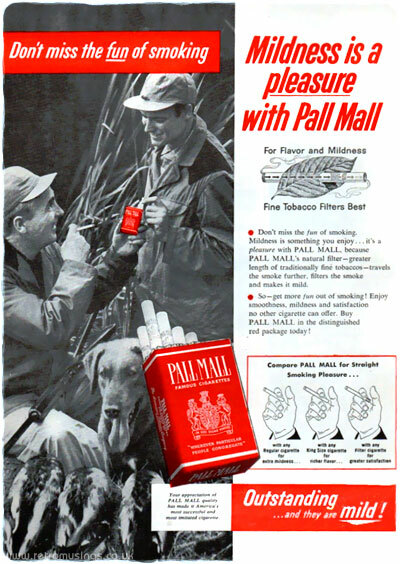 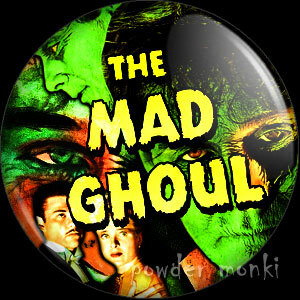 These first two were illustrated by Mal Murley. 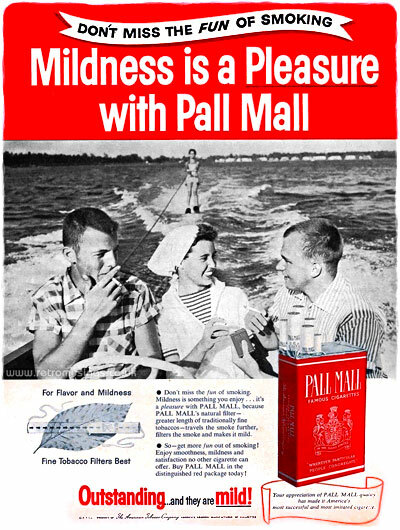 The below illustration by Bob Peak is quite different in style from the two above, and the only one found by this artist for Pall Mall.